Dailybuzz.ch: UPDATE: Jay Z And Solange - Jewelry Shopping Together!! 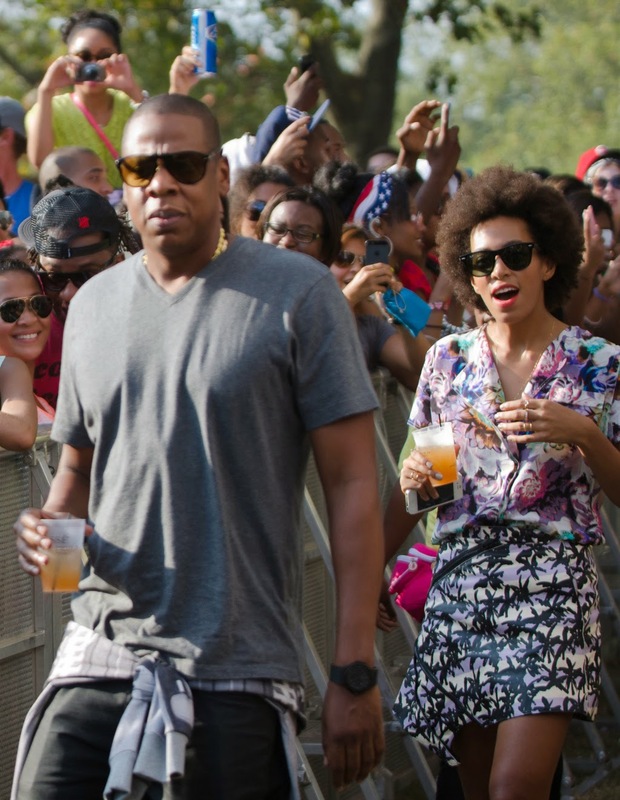 UPDATE: Jay Z And Solange - Jewelry Shopping Together!! 7:10 AM PT -- Solange's rep says she wasn't in NYC. However, Mr. Flawless himself told TMZ that he personally waited on Jay Z and Solange and was specific as to how long they were there and where they were looking inside the store. TMZ also spoke with a famous NYC DJ who happened to be outside the store, and also insists he saw Jay Z and Solange come out of the store, get into a Mercedes-Benz G Wagon and drive off. Wendy Williams said she called Mr Flawless up and he said it was Floyd Mayweather Jr that Stopped by Watch video below. Nothing weird at all about this, just two normal people with a normal husband/sister-in-law relationship shopping for jewelry on a Tuesday afternoon. Our sources says Jay Z and Solange were in Mr. Flawless, where they were looking for women's jewelry for around 20 minutes. We're told the pair showed no signs of strife and looked at gems with Mr. Flawless himself. They looked, but tried nothing on. They left the store without buying anything. Might have been a smart move on Jay's part though.